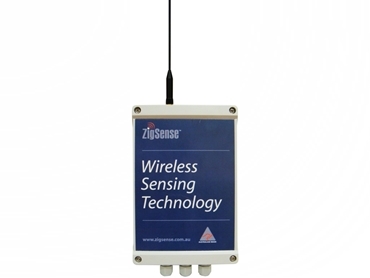 ZigSense model ZSXX-P2P-001 is a wireless cable replacer device designed to enable the transfer of wired I/O data between two remote locations using license free radio frequencies. High speed communications up-to 200Mbps and full duplex data transfer enable Digital and Analog I/O signals to be transferred reliably over short, medium or long distances. Analog signals; Tank level, Temperature, Pressure, Flow and Digital conditions; Pump, Motor start/stop, Alarm conditions, can be transferred to a remote PLC or between two PLC I/O modules eliminating the need for expensive cables, conduits and trenches. The pair communicates on license free frequencies of 2.4GHz for short to medium range or 900MHz for medium to long range. Each wireless node includes: 4 x Dig inputs, 2 X Ana inputs, 4 x Dig outputs, 2 x Ana outputs. An independent Alarm output can be used to indicate local alarms. The user may select between Analogue VDC inputs or 4-20mA inputs. Digital outputs can be pre-defined as inverted. All outputs include Fail-Safe mechanism which is activated should communications are lost. ZigSoft software enables the user to modify the settings of the remote station and record the remote and local signals to a data logger file in a CSV format. Use of ZigSense wireless peer to peer nodes will contribute to significant reduction in materials and installation costs.